My best friend Mindy & I and a few SPIDERS!!! 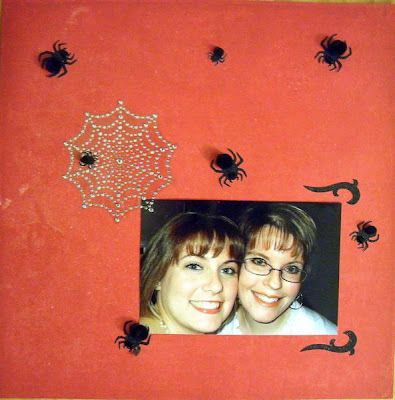 We both hate them so I am not sure why I used the spider decals on this page. You cant see too well but the spiders have little black gems on them - too cute! 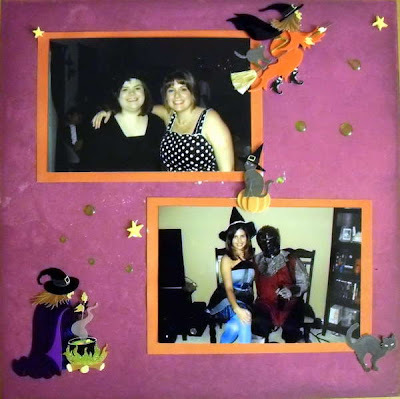 In the top left hand corner is my friend Alexis as a witch and me as June Cleaver. The bottom right hand corner is Ruth as at witch and Jimmie as a knight.